"Iceland is the ideal place for taking a break and setting foot on a European outpost with an exciting, lively, and ancient — but living — culture all of its own. You’ll feel at home — free to walk round, shop, admire, explore. It’s a place you could go on discovering forever." "Almost everyone speaks fluent English and Icelanders aren’t really given to formalities. After all, even the telephone directory lists people by their first name." 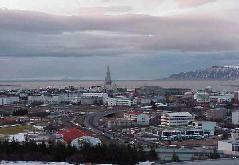 "Reykjavík the world's most northerly capital city, is located in the southwest part of Iceland and together with neighbouring towns is home to more than half of the Icelandic population. Reykjavík is an exciting venue where a modern capital and Mother Nature meet in Harmony." Reykjavik is a city where you’ll feel safe to walk the streets. Cozy, charming, a “village feel” and friendly people. But as much entertainment, action and things to do as a metropolis of millions. And with all the modern conveniences, a high quality of life and world-class services.Even so, it’s still only a 15-minute taxi ride from the centre to wild nature, where you’ll feel you’re the only person on Earth". As the comedy film, Elf, attracted moviegoers, for the country of Iceland, elves are no laughing matter. Over 10 percent of the population of 283,000 believe in them, including Icelandic rocker Bjork. Roads are designed around the homes of elves, and in some instances, building plans have been redesigned or abandoned to avoid disturbing rocks where elves are said to live. There's even a Reykjavik school that teaches Elf studies (4000 have completed their diplomas). Indeed builders of the country's first shopping mall took care to lay electrical cables and other underground installations well away from the suspected homes of gnomes and fairies. 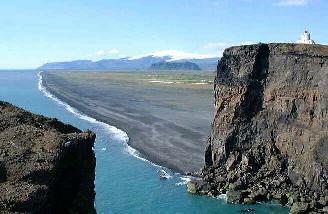 870 First Norse settlements on Iceland. Previous inhabitants were a small number of Irish monks. 930 The parliament, the Althing, established. 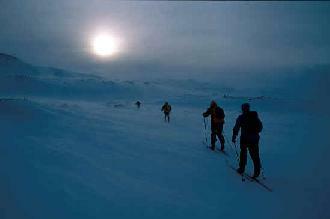 986 Erik the Red colonises Greenland. 1000 Iceland adopts Christianity. A golden age begins. 1262-4 Icelanders recognise the King of Norway as their monarch. 1380 Norway & Iceland enter union with Danish crown. 1402-04 Plague hits Iceland, killing half the population. 1602 Denmark assumes monopoly on all Icelandic trade, which continues for around 200 years. 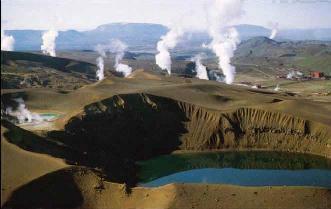 1700s A period of decline, with disease, famine and a volcanic eruption in 1783 reducing population to 35,000. 1814 Iceland remains under Danish rule. 1904 Iceland attains home rule. 1940 British forces occupy Iceland. 1941 The United States takes over the defence of Iceland. 1944 The Republic of Iceland is proclaimed. 1949 Iceland becomes a member of Nato. 1958 First "Cod War". 1972 Second "Cod War". Renewed confrontation with Britain. 1975-6 Third "Cod War" as Iceland extends its fishing limit to 320 kilometres. 1985 Iceland declares itself a nuclear-free zone. 2003 Iceland embarks on its first whale hunt for 15 years.